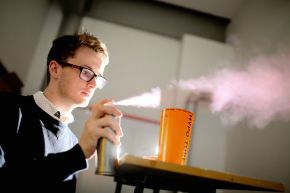 Final year product and furniture design student, Robert English, puts the finishing touches to his project ahead of Ulster University’s end of year shows. As part of his degree Robert designed the HYPO-TUBE, a solar powered rescue bag that aims to decrease the risk of hypothermia and help rescue teams locate victims. Ulster University is encouraging people from across Northern Ireland to experience the talented next generation of artists, musicians, digital animators and designers who will play a leading role in the creative industries both locally and internationally. The end of year shows will showcase and celebrate the creative work of the University's graduate talent with musical and theatre performances, interactive design and 3D animation displays along with art, photography, ceramics and silversmithing exhibitions. Running from Friday 3 to Friday 10 June, the shows are open to the public and will take place in venues across Northern Ireland. To celebrate with this year's graduating students, innovative work will be on display in a wide range of disciplines including painting, photography, ceramics, sculpture, jewellery, fashion, graphic design, illustration, printmaking, textiles and fine art. A showcase highlighting the cream of our final year cohort of undergraduate Music students will take place. This will be in conjunction with the Walled City Music Festival and shall be staged as two separate events on the day. Firstly, there will be an 'art music' event comprising short performances by five musicians and vocalists who are selecting their repertoire for the Concert from the classical and traditional musical genres. Later on, there will be performances by five ensembles led by our students, which embrace the rock, pop and jazz musical traditions. Each performance will be of 20 minutes duration and shall be presented as part of a Show with music provided at the interval by jazz trumpeter Dr Linley Hamilton and Italian guitarist Julien Colarossi. Special guests on the evening will include Moya Brennan ('The Voice of Clannad') and Micky Bradley, senior producer at BBC Radio Foyle and bass player for The Undertones. The entire evening will be presented by BBC Radio Ulster's Lynette Fay, herself a keen advocate of traditional music. An exhibition of photography, interactive media and short films produced by graduating students of Ulster University's School of Media, Film and Journalism. Peter Johnston, Executive Director of BBC and Director of BBC NI will open the exhibition on Friday 3 June at 5.30pm. His speech will commence at 6.30pm. 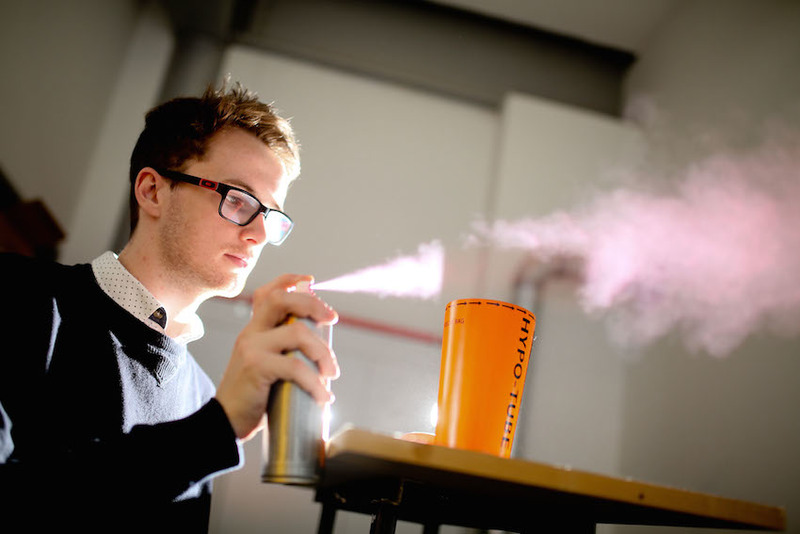 Graduates from the product and furniture design degree will display their innovative creations that solve problems in the world around us and improve the lives of others. Graduates will showcase their talent at the 27th Annual End of Year Show by design students at Magee. This group of creative thinkers will demonstrate their unique diversity that encompasses animation, graphics, interaction design, film, 3D digital content, product and the interplay therein. The opening night is a great opportunity for employers to be the first to meet the next generation of commercial designers and for the public to experience what good design is all about.